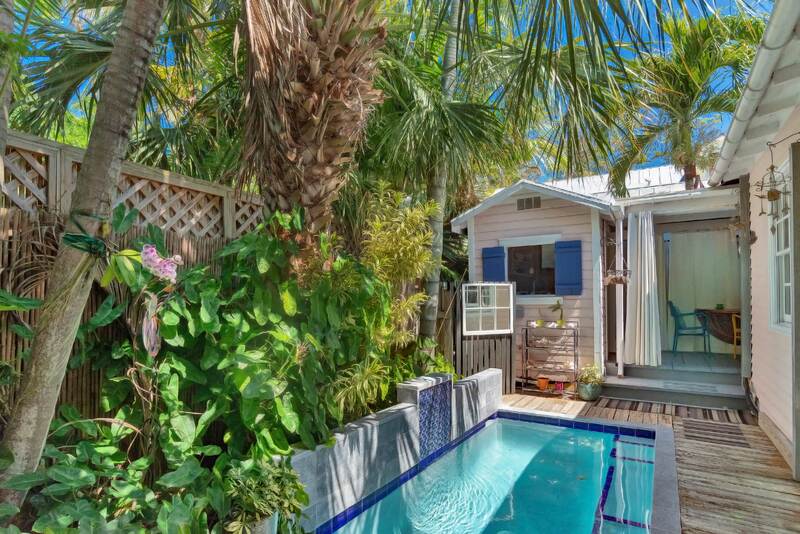 Vacation Homes of Key West (VHKW) News. 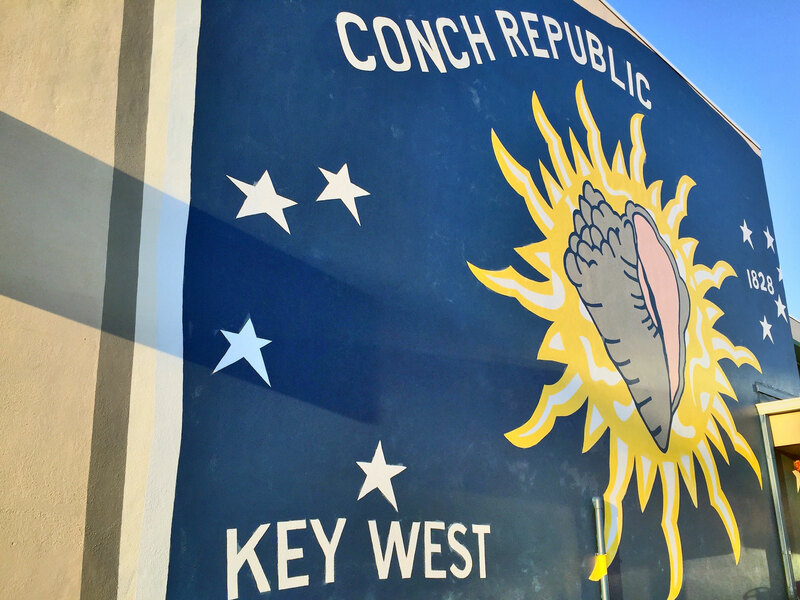 We are on your favorite social networks. 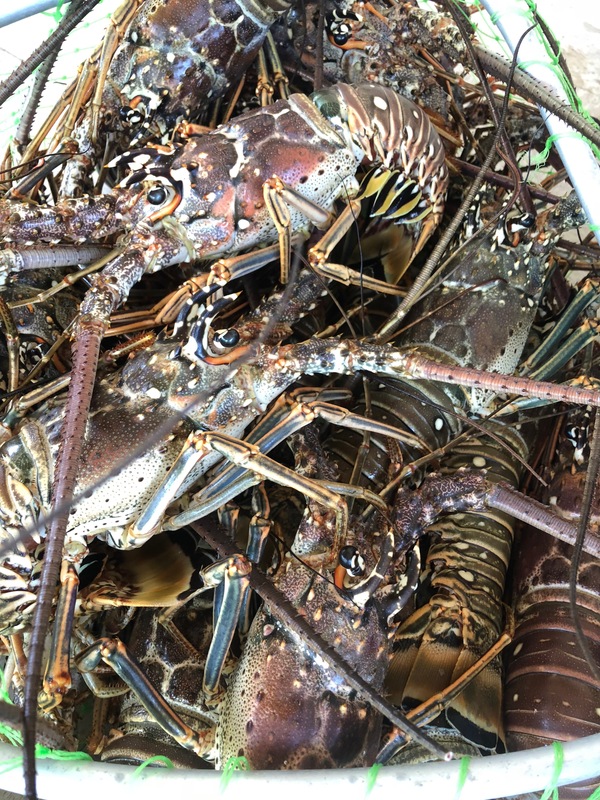 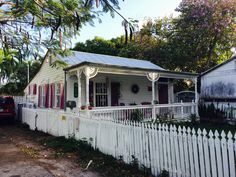 Friend Us, Like Us, & follow Us for updates on the latest additions to our vacation rental property inventory, and beautiful pictures of and information about Key West. 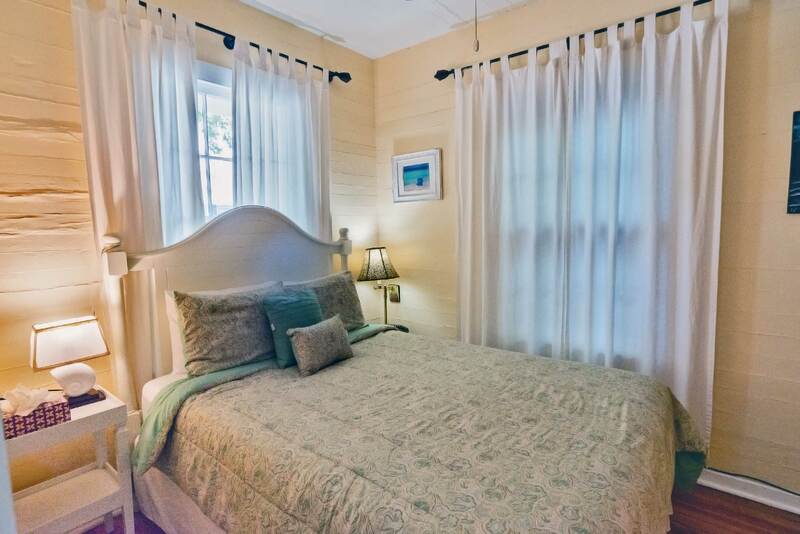 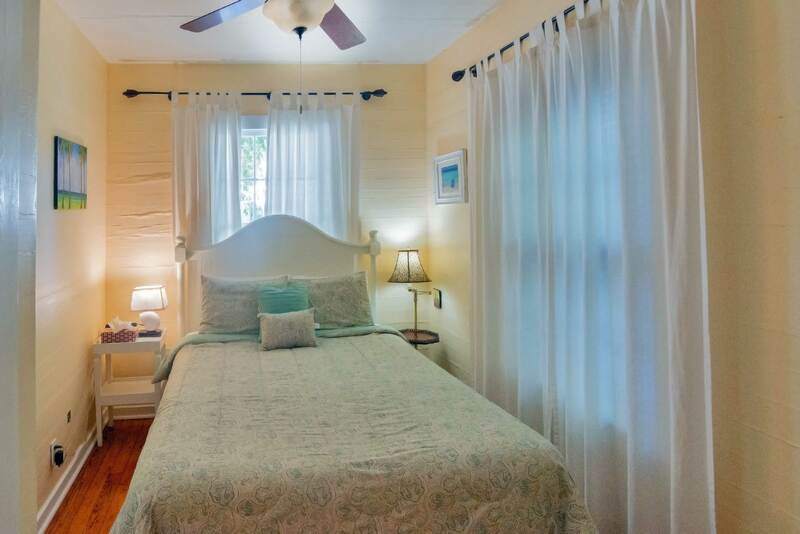 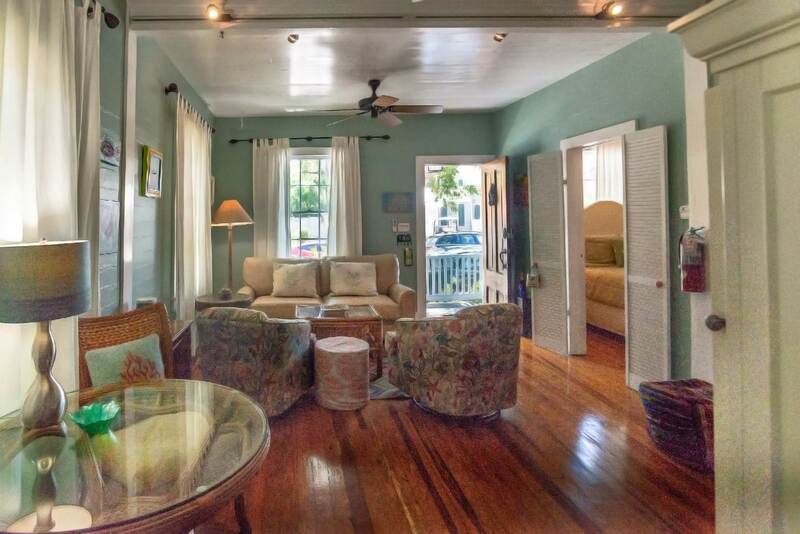 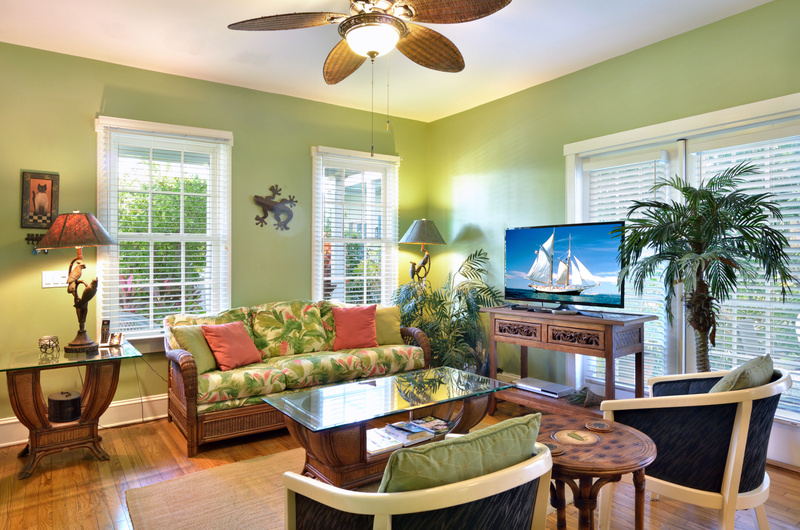 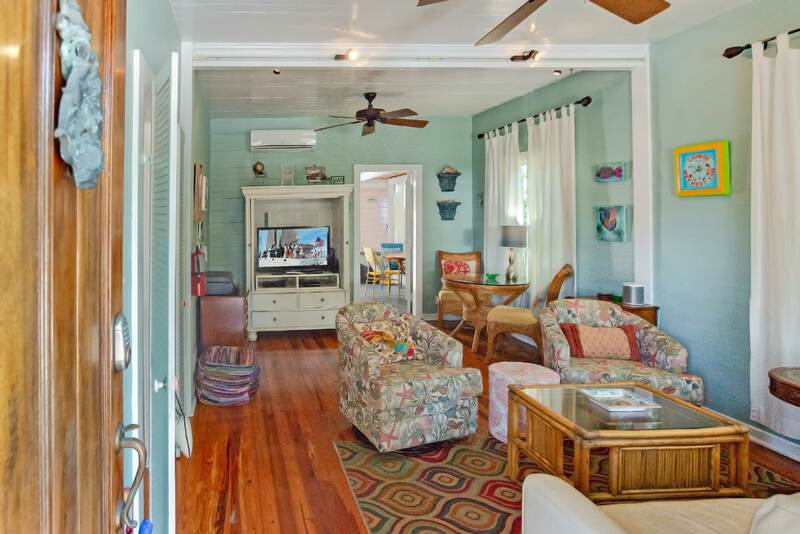 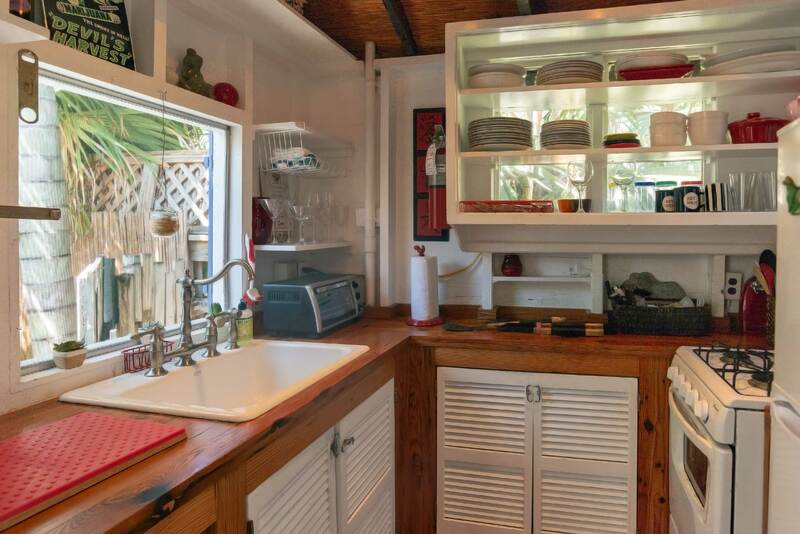 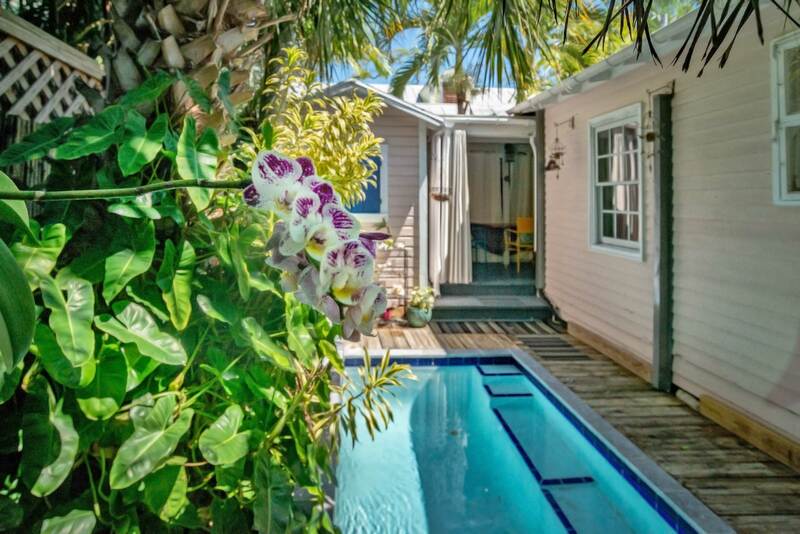 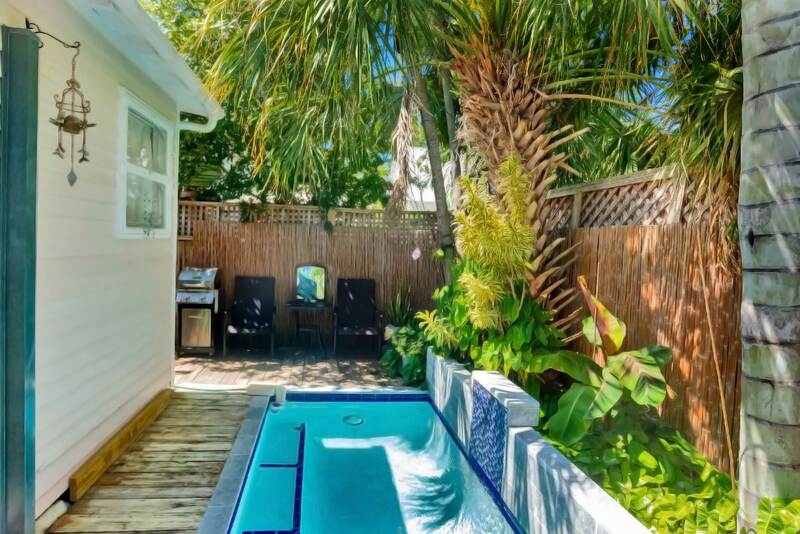 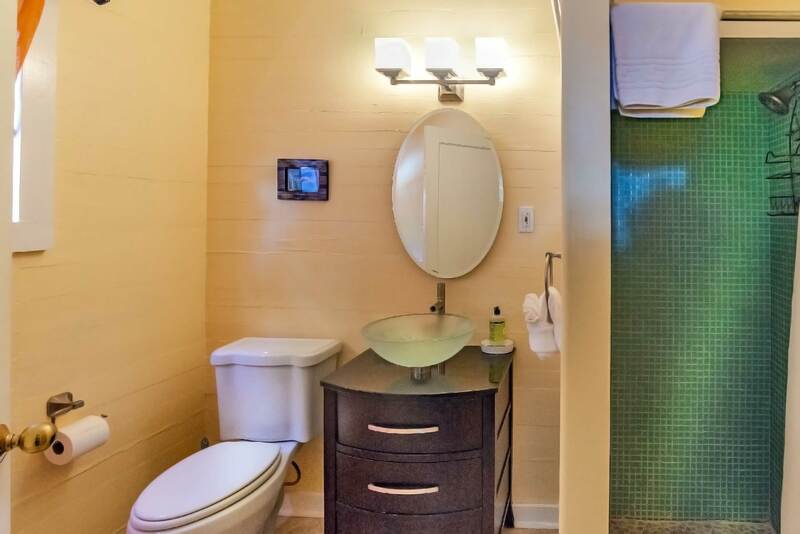 VHKW has just added a new monthly vacation rental on Southard Street in Oldtown Key West. 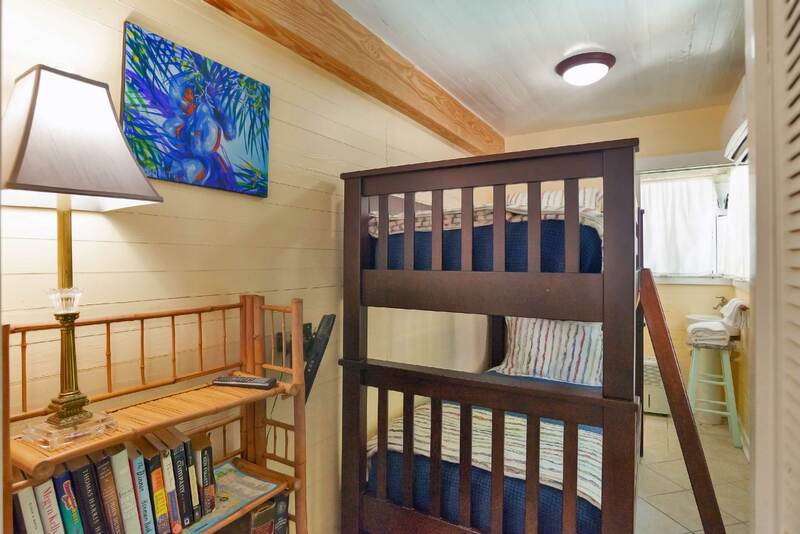 This unique one bedroom cottage also has an attached bunk room for visiting guests. 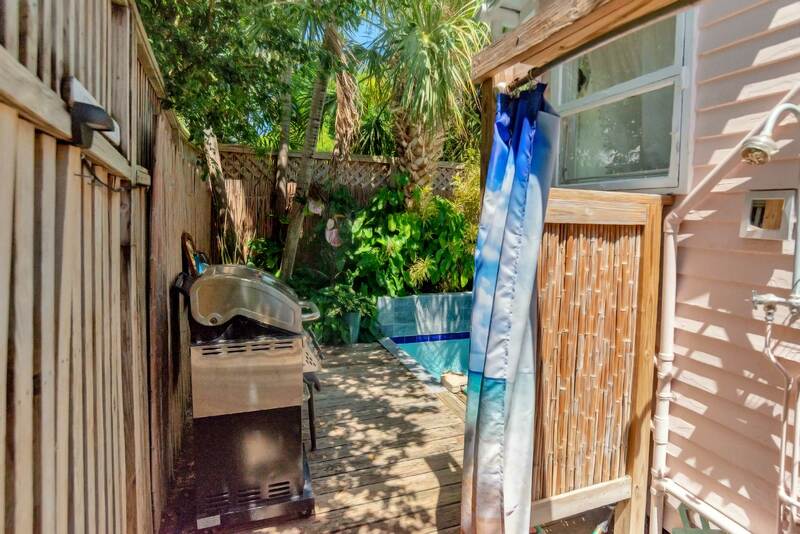 The back yard features a pool with an outdoor shower and BBQ grill. 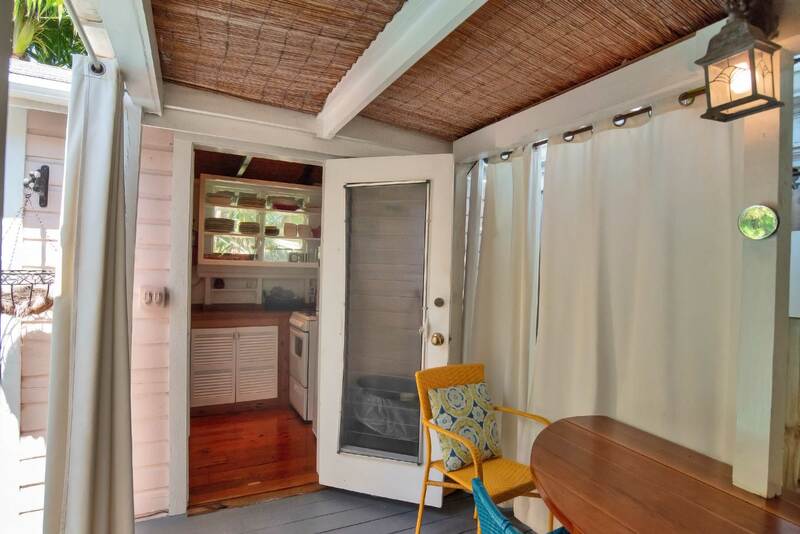 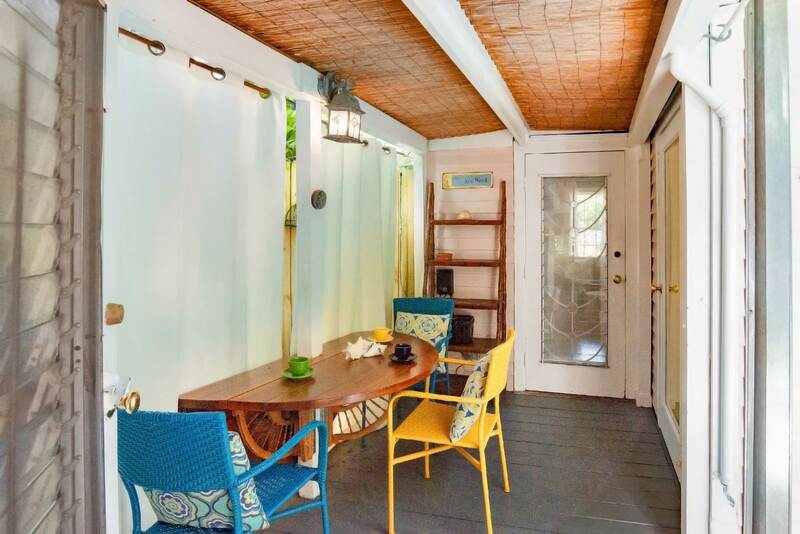 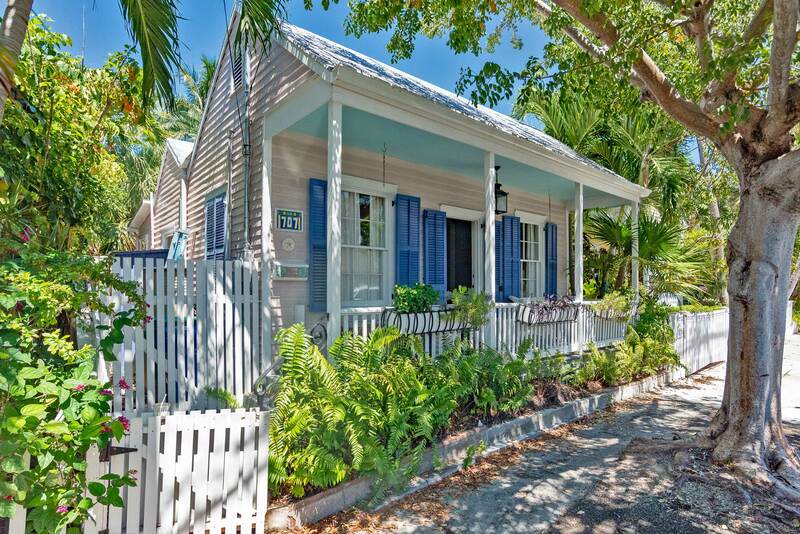 This cute conch cottage sits up off the sidewalk with a comfortable porch, perfect for enjoying your morning coffee. 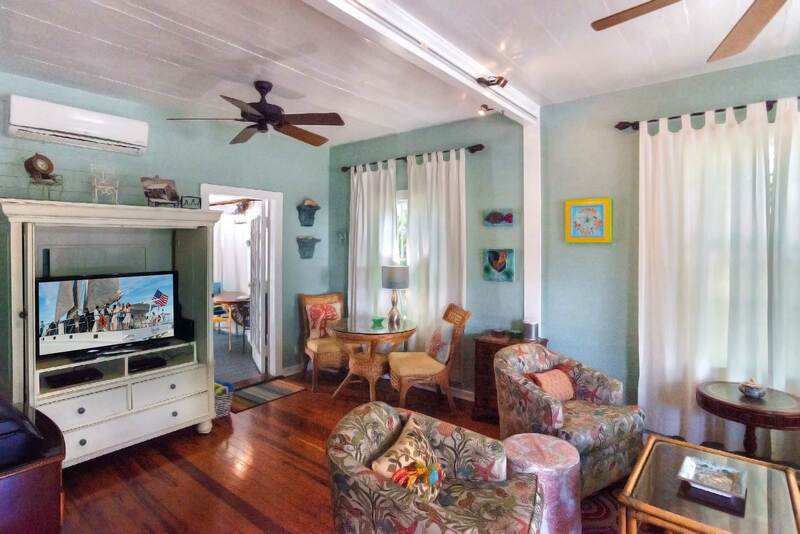 This monthly vacation rental is new to our inventory, leaving in demand months available. 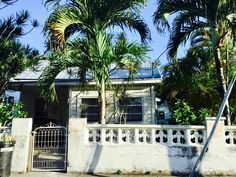 Contact us for availability and pricing at (305) 294-7358 or check back for a full listing soon. 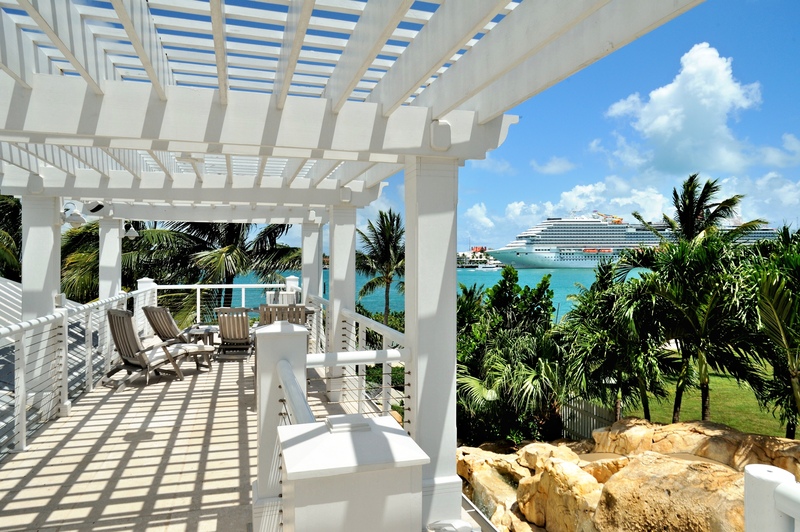 Weather is beautiful. 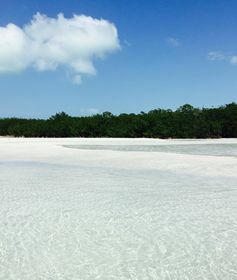 Wish you were here. 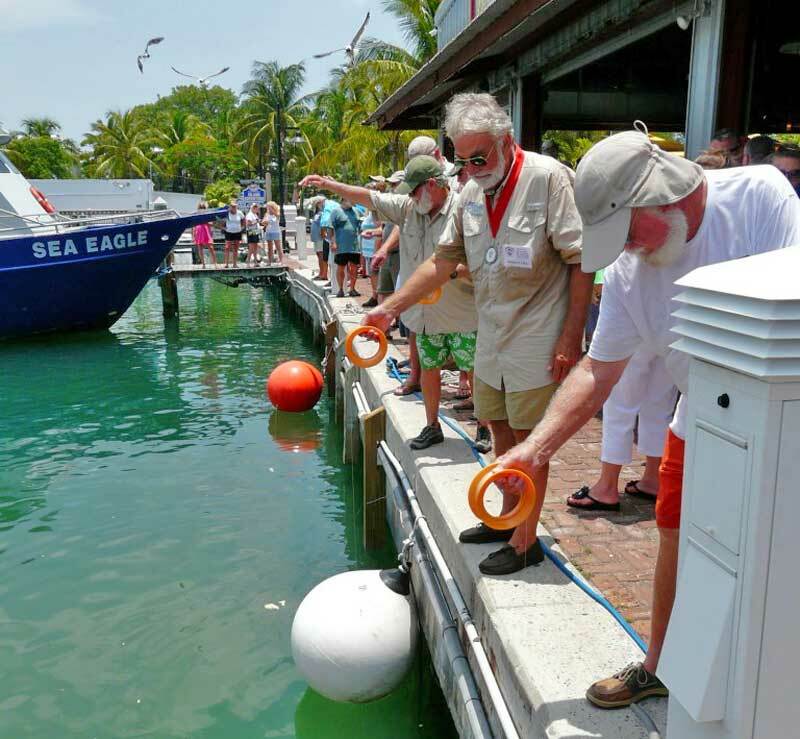 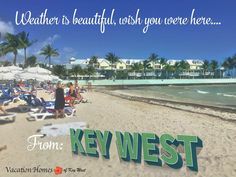 Or as Jimmy Buffett sings, ‘Weather is here, wish you were beautiful!’ Either way, come join us for Key West Island time. 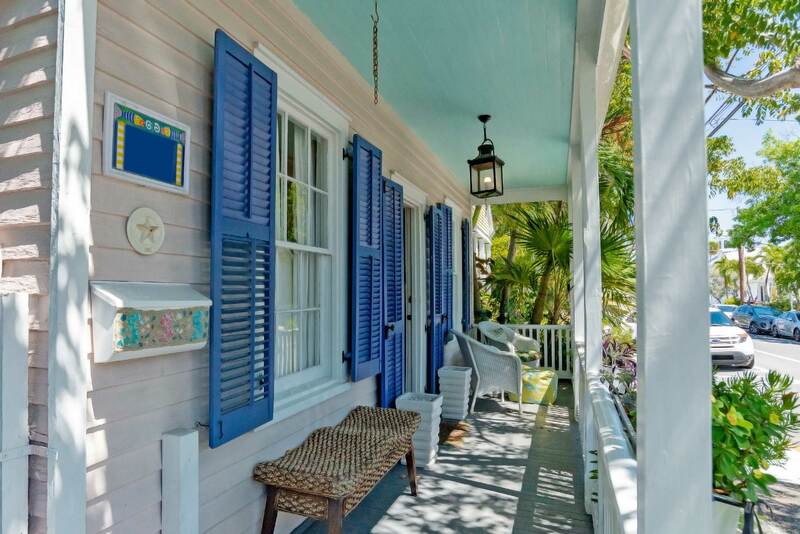 Cute as they come, a yellow wooden cottage with Caribbean Blue shutters. 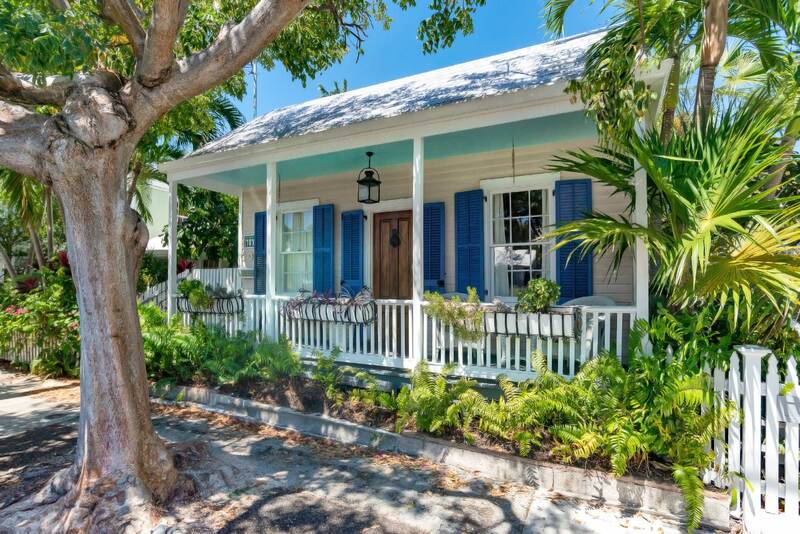 Key West Cottage living. 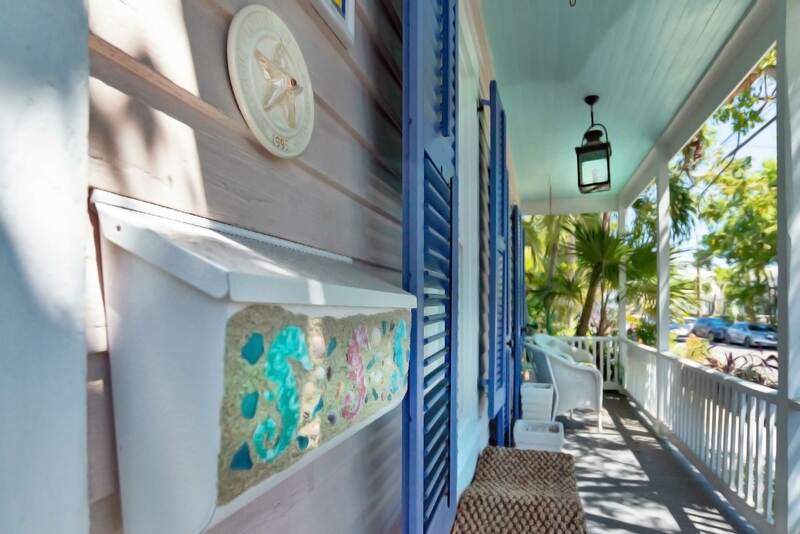 Life is charming when you live in Key West. 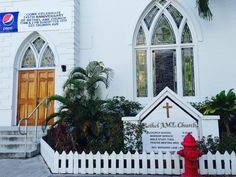 Bethel A.M.E. Church. 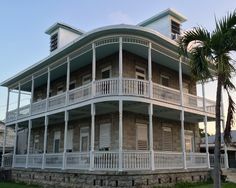 Key West Houses of Worship. 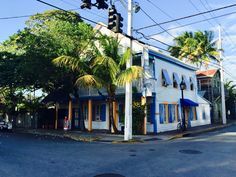 Thomas Street, Bahama Village, KeyWest. 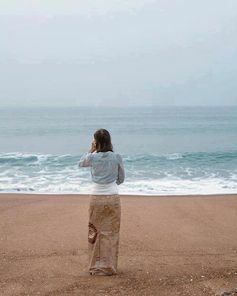 Becoming one with the ocean. 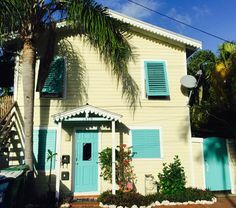 Key West ladies fantasy fashion.